While there may be numerous suppliers of bulk E-Liquid and vapor juice out there nowadays, not all of them are able to provide the range or quality of products that are sold by Vintage Joye. Below are just 5 reasons why you should purchase all of your e-liquid supplies from us. In an effort to cut costs, many e-liquid suppliers will look for the cheapest ingredients possible – usually from China. However, Vintage Joye does not import any of its flavorings or nicotine form China, which ensures that customers only get the best quality products possible. Additionally, Vintage Joye makes use of some of the largest flavoring houses in the world, which means that customers can be assured of being able to choose form the biggest and best quality range of e-liquids in the industry. Pretty soon, the FDA will be stepping in to implement a host of new policies surrounding the e-cigarette industry. However, Vintage Joye has been working around the clock to ensure that all of its products and processes are fully FDA-compliant through their third party laboratory. The company has already established a third party “FDA registered” lab as a tobacco manufacturer and it practices in accordance with cGMP guidelines (21CFR Part 111) Dietary Supplement Code, which is in fact more stringent than current requirements. All fluids produced by the third party lab are thoroughly tested to help ensure that the nicotine levels are correct and to ensure the highest level of purity possible. Additional measures are put in place to ensure that there is no water content in the finished products as well. All batches of raw material used such as glycol, glycerin and nicotine are also sent out to third party laboratories to ensure that they are of the highest quality possible before being used. Vintage Joye carries full “Product Liability” Insurance for all of its bulk eliquid fluids that is in turn extended to buyers and their clients. This helps lower buyers’ liability exposure substantially. The company’s Quality program makes use of Lot Numbers as well, all of which are traceable back to the respective suppliers and their original provided Certificates of Analysis. All of the formulas created are made to order by fully qualified and degreed chemists to ensure that they are able to provide maximum shelf life. 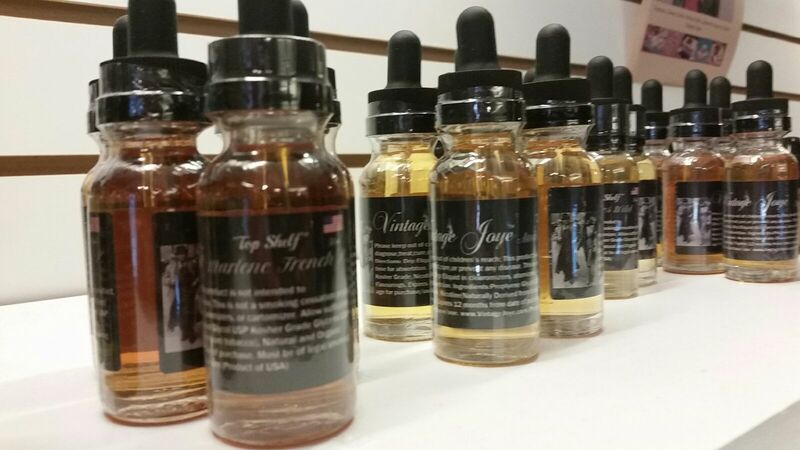 When stored under the recommended conditions, a 2 year shelf life is guaranteed for all Vintage Joye vapor products. In addition, no acetoin, acetyl propionyl or diacetyl is used in the products, rendering them far safer than most others out there. Along with the above mentioned benefits, Vintage Joye is able to do Private Labeling of products upon request, enabling buyers to successfully build their brands as time goes on. If you would like to find out more about the extensive range of e-liquid products that are available from this premium supplier, get in touch with them today. Looking for more info on bulk eliquids? Check out ours today!